People have a volatile relationship with gold, sometimes in-love and other times falling out of love. Many investors have been accumalating physical precious metals both gold and silver in ingots and coins. Very quickly even a small portfolio of say 5% of family wealth, is too much to store in a home safety deposit box. Many do not wish to store at their local banks safety deposit boxes as there is a risk that in the very time of need and emergency the bank may have locked and closed its doors. This makes great sense for wealth protection and also critical for retirement. All international and domestic investors seeking a safe haven for their precious metals seek a convenient, end-to-end solution for the purchase, sale, storage, and delivery of gold and silver bullion products. Increasing precious metal investors are seeking a secure and safe bullion storage, often two one on-shore and one off-shore, having redundancy of sites and jurisdictions for emergency wealth protection. Bullion investors assume a considerable amount of risk keeping even a moderate amount of bullion in uninsured storage solutions, especially at home or in a bank safety deposit box. Many people now realise the fact that there is more “paper” Gold or Silver in circulation than there is actual physical precious metals tonnage. This increases the risk of defaults on the commodity exchanges and non-delivery of your precious metal. 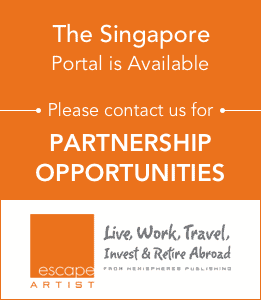 Singapore has a wealth of secure storage and logistics facilities. Singapore is a secure island. It has the reputation for tight security and effective surveillance and police action. In fact Singapore’s own reputation is at stake, which is much more valuable than your stored precious metal. Singapore is one of the safest countries in the world, and there are several vendors providing Bullion Services. Many of Singaporean Bullion Vault Storage provider’s offers specifically allocated storage. This refers to your ownership of specific items such as coins and bars, which are held in your name. You thus place an order for the exact products you desire and these products will be stored under your ownership in the vault. Often in your own secure pouch or box. Specifically allocated precious metals are weighed, photographed and stored under your direct ownership. Other Bullion vault stores use a pooled set of grammes or kilogrammes or coins, such that you do not have physically allocation in your dedicated pouch/secure box, just in the pooled. This is obviously cheaper on storage management – yet would you feel comfortable with that? I would not. Fly via Singapore, Changi Airport, and many will deliver it top you at the airport. For your safe transportation offshore or onto a secure carrier of your choice. There are now bullion storage vaults in Singapore that offer 24/7 instant audits of your allocted precious metal holding, done by independent third party auditors. This means you can be assured that your retirement gold is exactly where you left it. Too much gold at home, what to do? Many gold and silver investors over the years have accumalated a lot of the precious metal. Now there are turn-key collect, ship and store services. In Singapore there are companies able to arrange secure and audited collection from your home or bank, and international shipping to a bullion vault in Singapore. Many gold and silver investors over the years have accumalated a lot of the precious metal. Now there are turn-key collect, ship and store services. In SIngapore there are companies able to arrange secure and audited collection from your home or bank, and international shipping to a bullion vault in Singapore. Protect your wealth and protect your retirement.